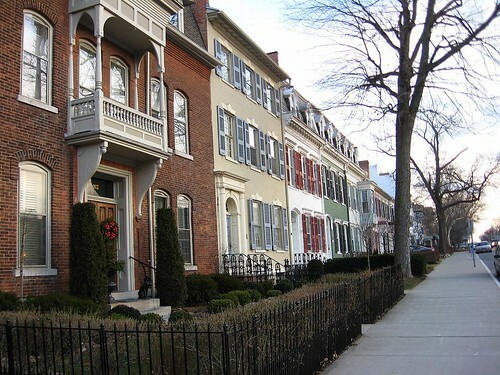 Our latest travels took us to an overnight stay to Corning, NY, in Steuben County in southern New York State. 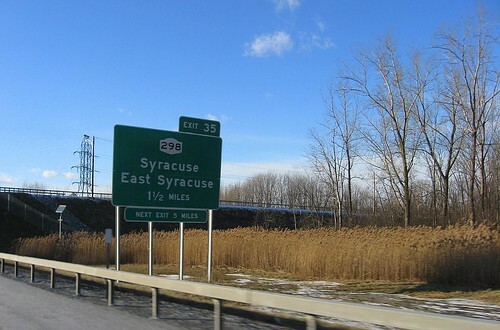 On our way there from Utica, the big news of that day (Sunday) was a huge lake effect snowstorm pummeling areas just north of Syracuse, NY. Oswego County was buried under 3 feet of snow. The city of Fulton declared a snow emergency as visibility dropped to zero and multiple accidents closed roads. Not a snowflake in the air. Absolutely frigid cold temperatures, and the wind was wicked. 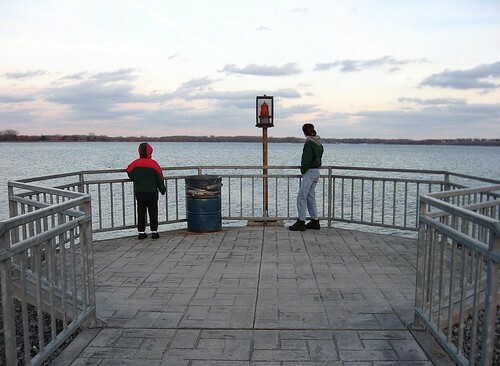 We could see the clouds to the north– the lake effect clouds blasting the area north of us. Lake effect is so strange and so fickle! As we continued to drive west, we could see dark blue clouds broiling in the horizon. They were white and puffy on the top, but underneath, they were gray and blurry and looked like they were shooting down toward the land. It was like someone with a great big thumb came and smudged the clouds down to the earth. It was the lake effect at work, far, far away to the west over Lake Ontario. We could see it forming and watch it crashing down, but we never experienced a snowflake. I so wished to get a photo of the clouds, but we were traveling too fast. We sped westward. 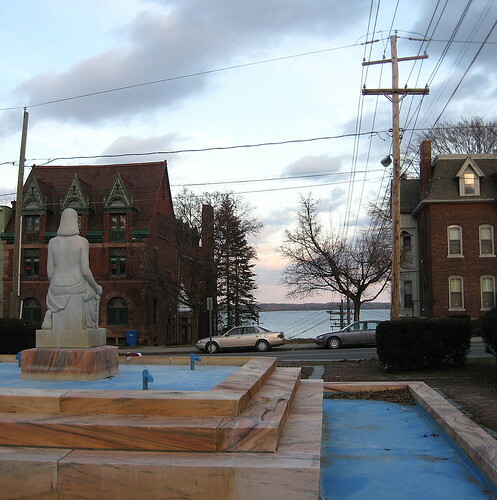 Geneva, situated at the northern tip of Seneca Lake, is a lovely little city. It reminds me somewhat of Little Falls, but the buildings and streets aren’t as crowded. Population is under 15,000. 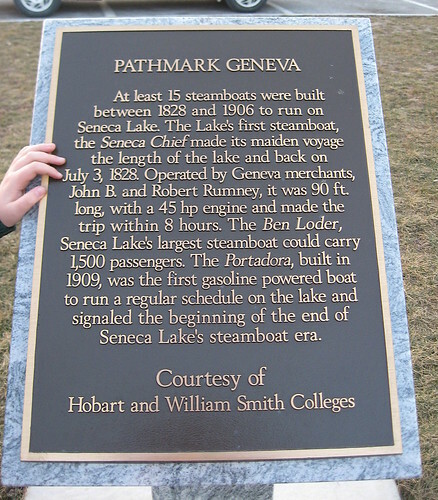 Geneva is the original site of an old Seneca Indian village. The site is beautiful. 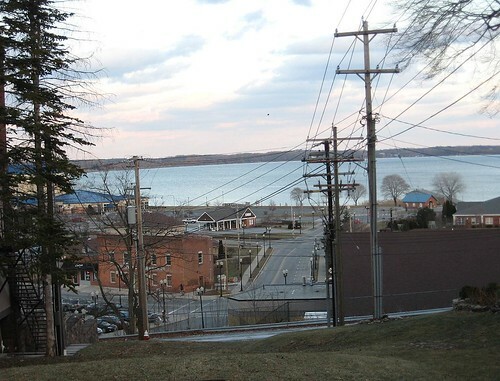 The city sits on a slope, and the houses and roads clamber up the hill from the lake. Between buildings, you can see the lake glittering below. Geneva is part of an area renowned for its great political and social movements. Elizabeth Blackwell, the first woman to graduate from a medical school, studied in Geneva, because it was the only place that would allow a woman to study medicine. 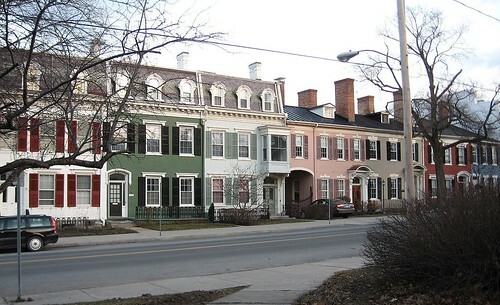 Seneca Falls (haven of the suffrage movement, teetotalers, and abolitionists) is nearby. Geneva is a well-established, wealthy city. I love the architecture. 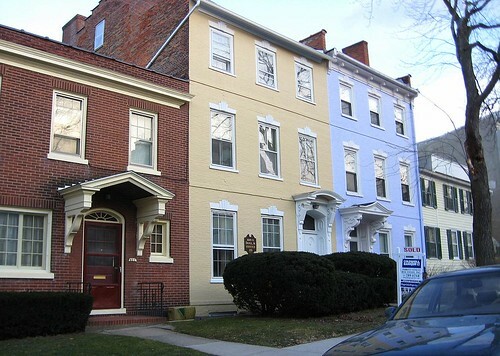 Here are some photos of the local rowhouses. They are painted so vibrantly and have been maintained so well. 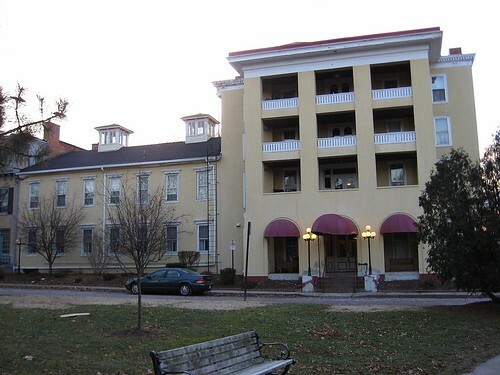 Below is the old Geneva Hotel, established in 1796. 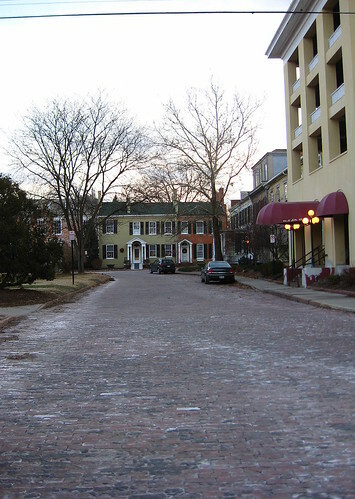 The street is brick. 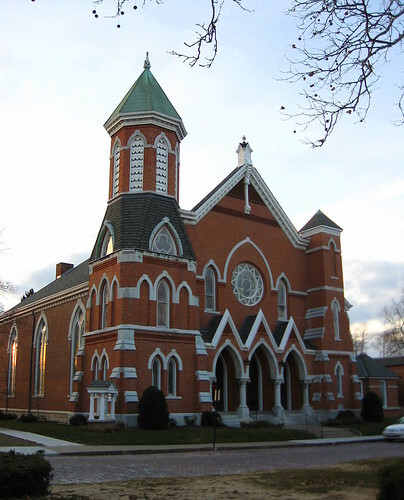 Here’s the Presbyterian Church. It’s newer than many of the buildings, but the architecture is so clean and pristine. 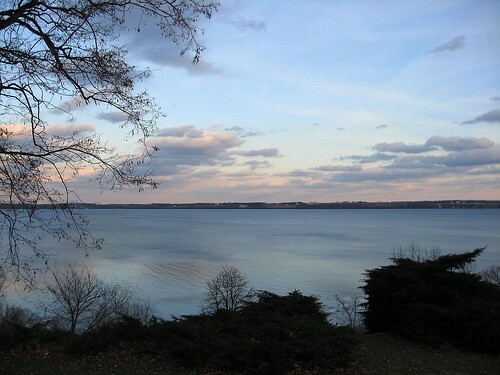 Seneca State Park runs along the northern brim of the lake. 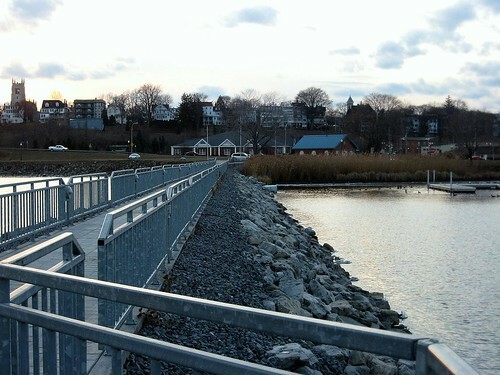 I thought it would be great to venture out on the pier and take some photos out toward the center of the lake. Everyone else was silent and looked at me strangely. The temperature had risen to a balmy 11 degrees, and the wind was whipping wildly. I begged the boys to come with me, and, being the devoted boys that they are (plus risking being grounded for life), they came along. It was f-r-e-e-z-i-n-g. Almost unbearable. My camera was freezing up and my hands were red and painful. We did run out to the pier to snap a few photos, and ran right back to the waiting van. Brr! See what the New York Traveler does for a blog photo-op? The photos turned out rather nice, considering the overcast skies. Here, the Episcopal Church towers over this section of the city. It looks like a castle, doesn’t it? Geneva was beautiful. We’d wanted to see some of the historical homes in the area, but they were all closed for the winter. I guess heating those old beasts is too difficult. I wouldn’t have minded walking around in them without heat. Oh, well. Maybe someday. We drove out of Geneva down Route 14 south. 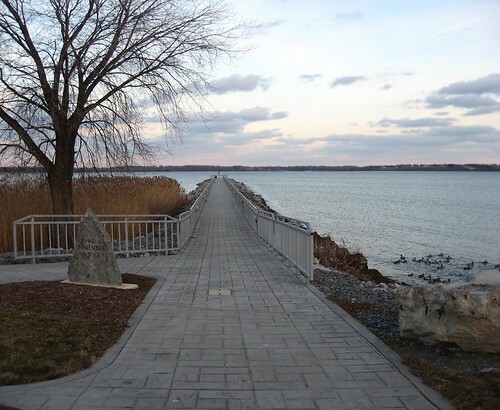 This route runs parallel to the western side of Seneca Lake, and the views are beautiful. 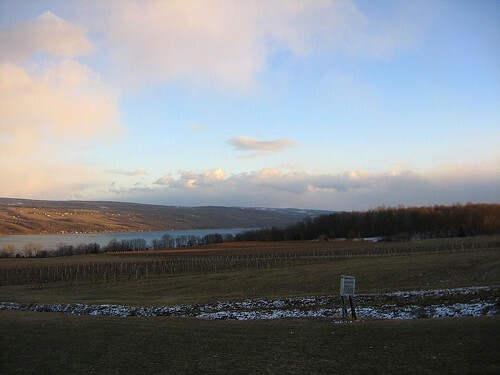 Seneca Lake is one of New York’s Finger Lakes– so named because they are long and thin and stretch across the state like fingers of a hand. 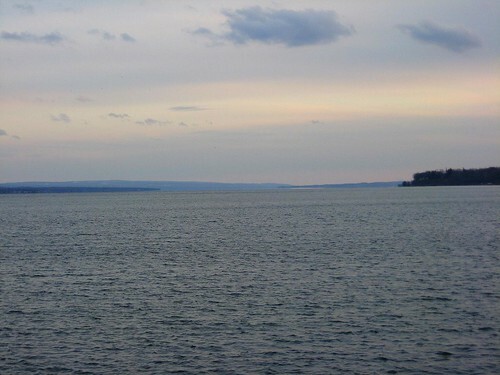 Seneca Lake is the second-longest Finger Lake. Trout are abundant here. Because the lake is so deep, it has been used for submarine testing! The Seneca nation of the Iroquois Indians lived here, until they made the mistake of siding with the British during the Revolutionary War (they lost). They were driven from their lands. The fertile land is now home to dozens of vineyards and wineries. The Seneca Wine Trail (something the Mr. and I hope to experience someday) is one of the larger tourist attractions in the area. The views of the vineyards drifting down toward the glassy blue water was exhilarating and left me breathless and trembling. Or, it might have been because it was 10 degrees. Whatever. 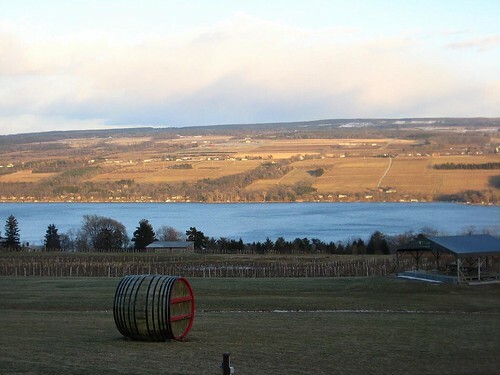 One of the finest views of the lake is at the Glenora Winery on Route 14. None of the lake that we could see was frozen at all (save a tiny portion we saw in Geneva around some rocks and pamphas grass). The lake looked just as fresh and perky as if it was June. There was really no snow in the area from Harmony Beach (just south of Geneva) until Watkins Glen, and the southernmost tip of the lake. These slightly warmer conditions are favorable for grape-growing. 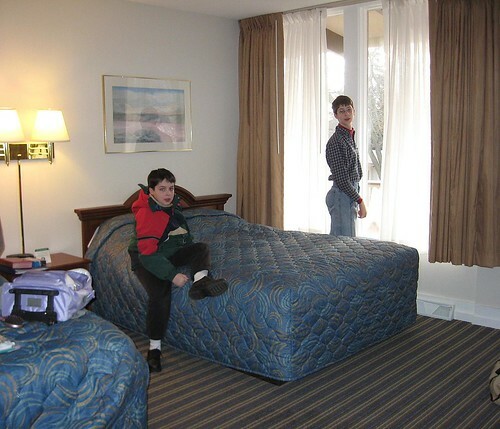 We drove to Corning (south of Watkins Glen), to a little hotel that I’d found on TripAdvisor. As you regular readers know, we do not stay overnight anywhere very frequently, as we prefer daytrips. However, we got a terrific deal on accommodations and sightseeing in Corning, so we made a night of it. 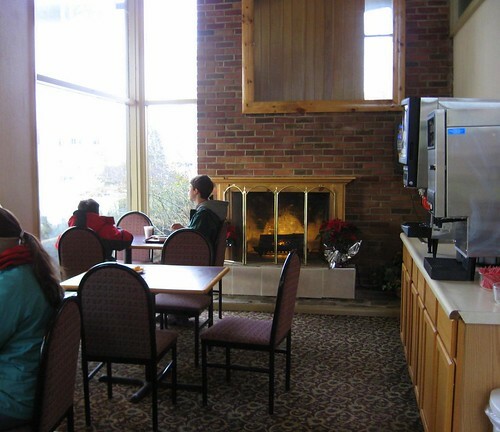 We stayed at the America’s Best Value Inn: Lodge on the Green in Painted Post, NY. I have my full review at my page on TripAdvisor at www.tripadvisor.com/members/mrsmecomber. It was a wonderful place and the cost just couldn’t be beat– it was a fraction of what other places were asking. We enjoyed our stay and wish it could have been longer! 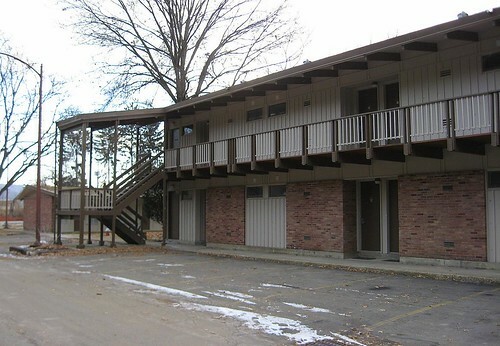 If we decide to return to this area (no doubt we will), we’ll reserve another room at the Lodge. 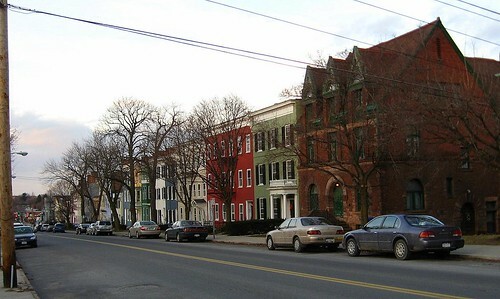 I’ll be posting about our jaunts around the Corning, NY, area soon. 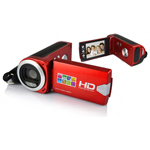 I’m preparing photos and a few videos, so stay tuned! I’m sure you must have tooted and waved as you traveled by on the Thruway or was that laughter I heard as you saw our storm clouds? I’m glad you had a nice trip and avoided our snow. It’s been several years since I’ve stopped in Geneva or Corning. The finger lakes region is beautiful country. Thanks for stopping by again, HH. Yep, we’re out and about! Can’t take the cabin fever any longer. Great post! Haven’t been to Corning in many years. anyone swim in the lake in the winter ? for healthreasons,or are they all afraid of catching pnemonia? I was wondering, is there a boat that takes tours on Seneca Lake? Please let me know. Thank you. Ok am confused lol… it says its a new post but the previous comments have old dates? Or is this a repost? 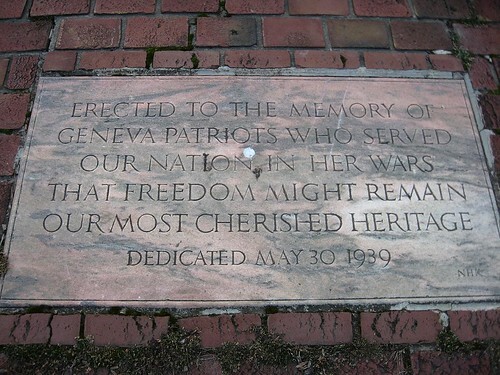 I have never been to Geneva but it sounds and looks wonderful. I will definitely have to keep that in mind when I start my day trips when the snow melts!! Can’t wait!! !